The work of Olivier Föllmi exudes authenticity and spirituality. For more than 40 years, the prize-winning photographer has documented the landscape and peoples of the Himalayas, a region he first got to know on a hiking trip in the 1980s. Captivated by Tibetan culture, people, and their harmonious coexistence with nature, Föllmi returned to the mountain region on numerous occasions—at times as a mountain guide, at others to live and learn from spiritual leaders in a Buddhist temple. The Himalayas became his destiny, and he became one of the most sensitive and insightful observers of life in Tibet. 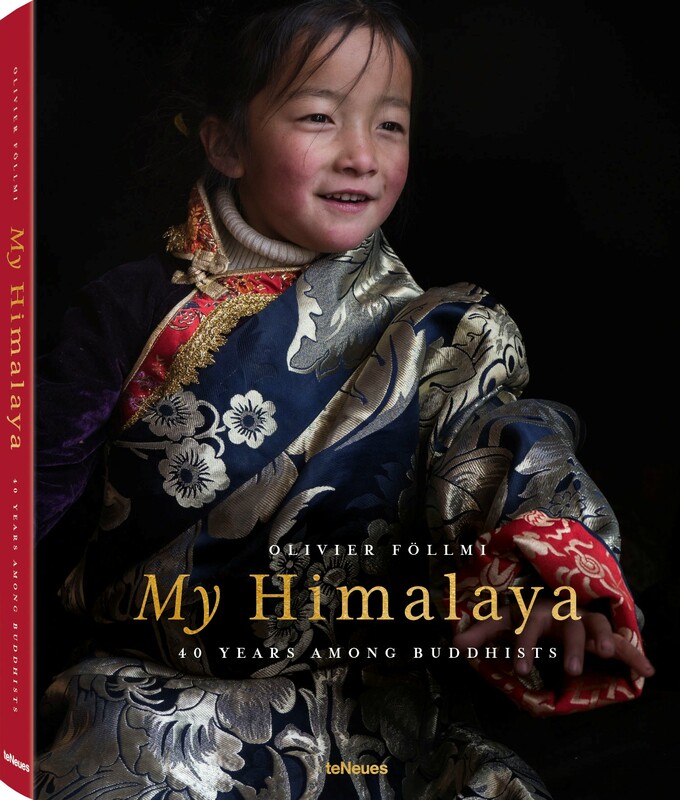 This rich photo book of the Himalayas is at once a remarkable retrospective and an homage to the Tibetan culture and spirituality which has so defined and characterized Föllmi’s life and work. Page after page reveals photographs of extraordinary emotion, color, tradition, and beauty, alongside inspiring anecdotes and stories from the photographer. My Himalaya is an enriching and enlightening book for anyone looking toward a more mindful way of life, as well as for all those interested in photography, trekking, landscape, and Buddhism. 36 books, which have been translated into nine languages, sold 1.5 million copies, and have inspired numerous films. Föllmi is the recipient of numerous awards and prizes, including the World Press Photo Award, and has exhibited his work in galleries around the world.